Hi, my name is Kirsty Brockman-Palmer. I established my business EarthSynergy in 2005 when I returned to New Zealand after living abroad for 8 years. My first experience with associating crystals with healing came when I was doing care work in a magical part of England. My client was a lovely lady called Tisha who was recovering from having a cancerous breast lump removed. As soon as I met Tisha I loved her. She had this magical ethereal quality about her and was very open minded when it came to holistic healing. Tisha and her husband Jeremy lived in a lovely cottage that also had its own little forest attached to it, which I swear also had resident Fairies, and was one of my inspirations for Fairy Treasures. During caring for Tisha, on a trip to town, the smell of incense drew me into a quaint crystal shop. I asked the sales assistant if she was aware of any crystals that could be used for healing after having a cancerous tumor removed. After consulting with her crystal book, she located a quartz cluster and said that Tisha should wear it close to her wound during her recovery period. I took the crystal to Tisha, who was so incredibly moved by this gesture. She wore it next to her wound day and night until it healed. She had a genuine belief that this crystal helped her and I believe in turn that this hastened her recovery. Once she had no more need for its healing properties, I made this very special crystal into a necklace for her, which she loved wearing. This lady is very special to my heart and we still keep in touch 16 years later. A few years after that I was visiting Thailand and came across a stall in the Chatuchak markets. I was mesmerized by the crystal beads in this particular stall that were all temporarily strung and hanging from every available piece of wall. I bought as many strands of crystal beads as I could afford at the time. Among my selection was Tigers Eye, which I was intensely drawn to – despite not normally being attracted to gold and brown colours. I got home from my trip and felt compelled to make myself a necklace solely out of the Tigers Eye beads, and I felt the NEED to wear this necklace solidly for about 6 months. During this time I discovered Judy Hall’s Book ‘The Crystal Bible’ and when I looked at the healing properties of Tigers Eye, It made ABSOLUTE sense that I was so attracted to this crystal – its healing properties were EXACTLY what I was needing at the time! I became fascinated with the concept that each magical crystal has a distinct set of healing properties; According to Metaphysical research, each crystal has each own set of healing properties, whether physical, mental or spiritual – these are not exclusive to each crystal however and can crossover to make POWERHOUSE crystal combinations for specific ailments/issues. 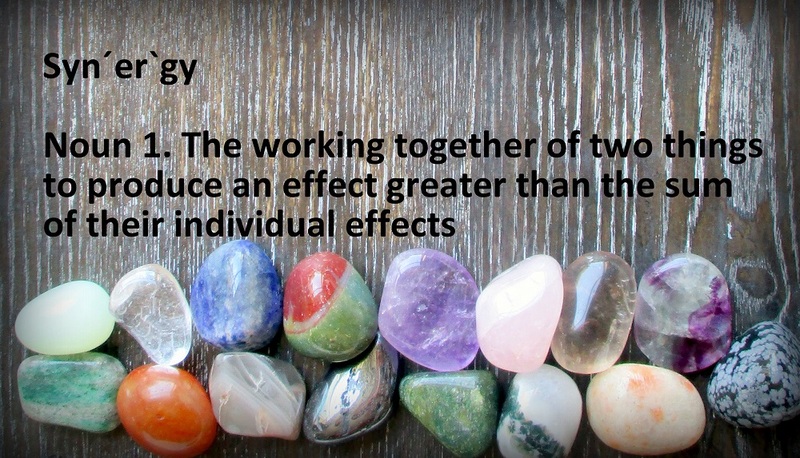 My original mission was to make ‘Purposeful Jewellery’ where accounting for their healing properties I combined crystals for a specific purpose. I developed around 30 necklaces with specific purposes. A few years down the track (after having the children and refocusing) this has now moved more into loose tumbled crystal sets, which can be placed in your environment, carried around on your person or used in Crystal therapy to treat the body holistically, and ensure all round wellbeing. Also after joining Motherhood, I also started imported Genuine Amber Teething Necklaces, which was a natural progression after working with crystals all this time. And then another form of purposeful Jewellery followed in the form of our Memorial Jewellery. These stainless steel keepsakes are such a special memento for anyone that has lost a loved one and while it is not a crystal product, it really resonated with me as something that can help people through the grieving process. I am looking forward to expanding my ever growing knowledge of crystals and applying this to enhance our health holistically – physically, emotionally, mentally & spiritually.